Expert Update | Finance: Time to sell? 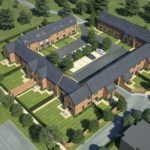 PH Homes has launched its latest development, The Somerford Booths Hall Estate in Cheshire. The development will include 27 homes and restoration of the historic parkland – Grade II Listed Somerford Booths Hall, set within 12 acres of parkland in the heart of the Cheshire countryside. Formerly the seat of the Swettenham family, the site dates back to the 13th century with the present Hall built in 1612. The proposed development plans have evolved over the past two years with PH Homes working closely with Historic England and Conservation Officers at Cheshire East council, to create a bespoke design which responds to the sites history, topography and remaining heritage features.